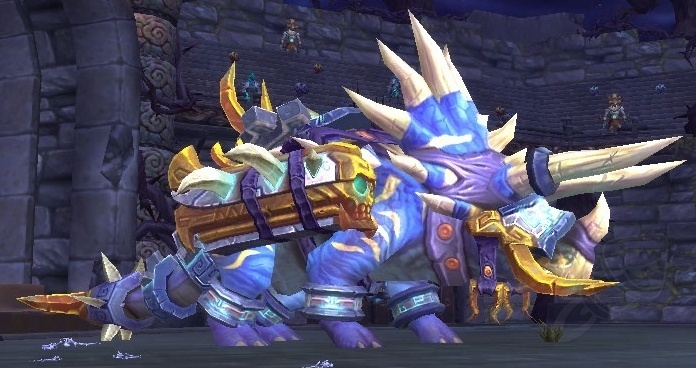 Horridon is the second boss in the LFR segment of "Last Stand of the Zandalari". You know, the giant triceratops boss, that opens doors to waiting (?) trolls who attack you mercilessly. I attempted this boss three time the other night on the LFR and was saddened to find complete failure all three attempts. I had watched this prep video and found the lack of actual game play nice because it simplified the raid to pure mechanics. Jin'rokh was fairly easy. I think we had only one death. The trash before Horridon was interesting with the wind mechanic, making the run a bit of an obstacle course. I believe based on raid chat, our issue with Horridon was one of our healers was on /follow. Happily, I am almost Friendly with the Shado-Pan Assault. After I finally down Horridon, I should be able to pickup some shiny i522 bracers, a new ring and a trinket; just need another 4000 valor. :] Haven't been in this situation for awhile.